Even though it may be thunder and rain outside, sunny days are on the way. Hardywood and Strangeways each have their own ways to help you beat the heat. Check out their releases tomorrow Saturday April 11th. We’re bringing back our third anniversary Berliner Weisse for the sunny days ahead! 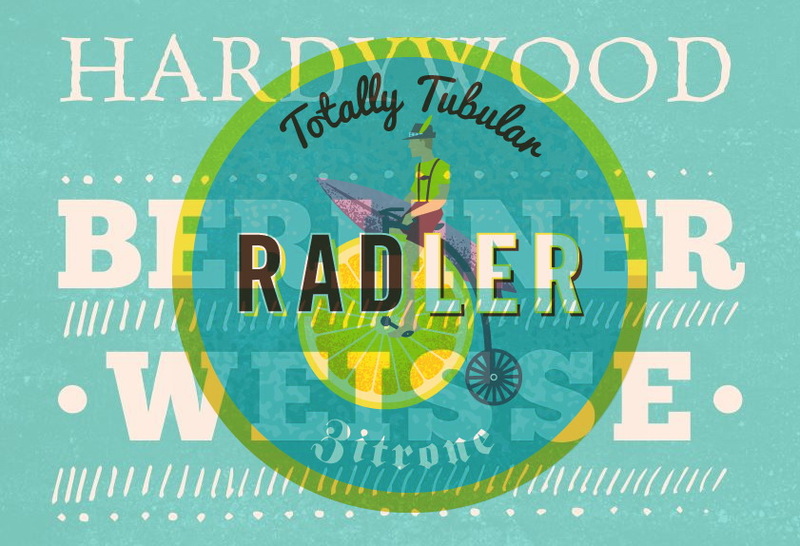 Hardywood Berliner Weisse will enliven your palate with tart complexities found in this German-style sour beer. Bright, dry, and refreshing, our Berliner Weisse has a strikingly tart start and prickly finish. Straw-like color and natural haze due to an abundance of wheat intensifies the rustic feel of this beer. Tart citrus notes explode on your palate, while the dry finish leaves you wanting more. Starting at 11AM with the Richmond Craft Mafia‘s Spring Bada-Bing 2015!show! This annual indie craft show presents over 50 of the best local, regional, and national indie artists and runs until 5pm. Live music from Nervous Ticks, Nelly Kate, Dave Watkins and Gull at Hardywood at 5pm. Invented in the roaring twenties by Franz Xaver Kugler who had to think quick when 13,000 cyclist descended on his small town, Strangeways is introducing the first in a series of three thirst quenching beers to honor the 2015 UCI Road World Championship. Cruise in on your bicycle this Saturday to enjoy Radler specials and live the dream. This is the first in a series of three thirst quenching concoctions brewed in honor of the 2015 UCI Road World Championships taking place in our own Richmond, Virginia. The Radler style was invented in the Roaring 20’s by Bavarian Franz Xaver Kugler. The story goes that Kugler had arranged for the construction of a twelve mile bike trail through the forest from Munich straight to his establishment, in an attempt to improve business by catering to a post WWI emerging movement of recreational cycling amongst the working class. A good problem/bad problem arose when 13,000 cyclists descended upon his beer garden on a fine Saturday in June of 1922. While Kugler counted heads, he quickly surmised that he did not have enough beer to quench the thirst of all his patrons. Being a sharp businessman, the quick-thinking entrepreneur remembered he had several thousand cases of lemon soda in his cellar, a beverage that had proven a tough sell to the beer-loving Bavarian public. To save the day, while at the same time liquidate some virtually useless inventory, Kugler mixed his lager beer with the lemon soda. To further entice the cyclists to try his new creation, he dubbed the drink the Radler, which is Bavarian dialect for the German word Radfahrer, or cyclist in English. He whimsically told his customers he had developed the mixture to keep them upright on their bikes during their journey back to the city. Needless to say, it became a lasting tradition that carries on to this day in Germany. Prost and ride on! Saturday April 11th 12pm-10pm – Nectar and Knife DIPA 22oz bottles and draft. 1st Anniversary Ale – Saison Brett bottle only release, and a seperate Brett Saison – single hop draft only tapping at 2pm. 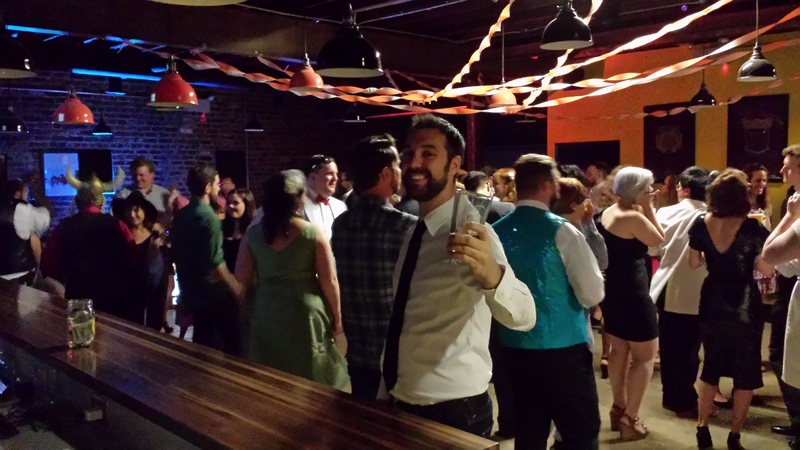 Cultured Swine and Sausage Fest will be serving up food. Boxwave plays at 7pm.